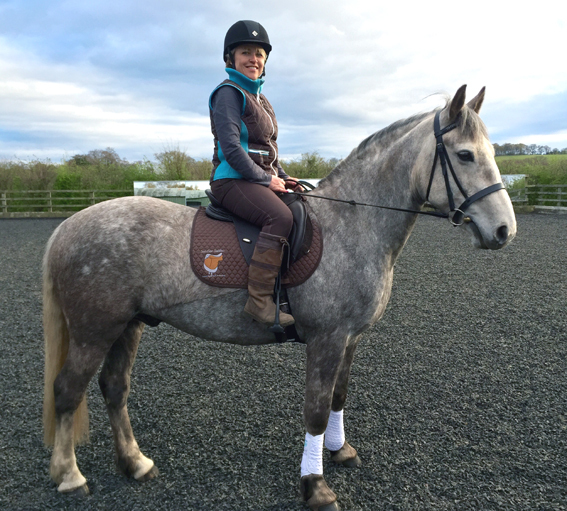 Solution Saddles Customer Stories: Riding in a SMART Eventer saddle has been a revelation for Tracey and her Irish Sports Horse, Merlin. Riding in a SMART Eventer saddle has been a revelation for Tracey and her Irish Sports Horse, Merlin. Merlin is a sensitive horse and would always scoot forward, particularly in canter, with our previous tree’d saddle - I think this was because it was causing him pain and dug into his back. Since riding in the SMART saddle he's moving more freely, working through his back more effectively and I have peace of mind because I know he's comfortable and enjoying his work - that is worth its weight in gold to me. I fully endorse this product and will be recommending it to my friends.